What is The Constitution of The United States of America? For some people it’s a symbol, representing various different concepts. But outside of the human imagination, and leaving the world of myths, hopes and dreams, what is it in actuality? We were told by its writers and those who initially endorsed it, that this constitution is a contract forming a federal alliance between a set of former British colonies that were in fact newly independent states. We were told that this contract both established a federal government and placed restrictions on that government. The practical outcome of this contract based federal alliance, restricted by this constitution, over the last 225 years, has clearly demonstrated that this constitution is nothing more than an empty promise. This federal government, no matter who was at its helm, has consistently broken or openly trampled the clear meaning and intent of this document, rendering it of no practical purpose other than to further the myth that this federal government can be restricted. In support of this myth of restricted federal government, a cult has arisen in America. This cult uses the standard mind control tools common to cults, to bend reality and cause people to have faith in this failed constitution. 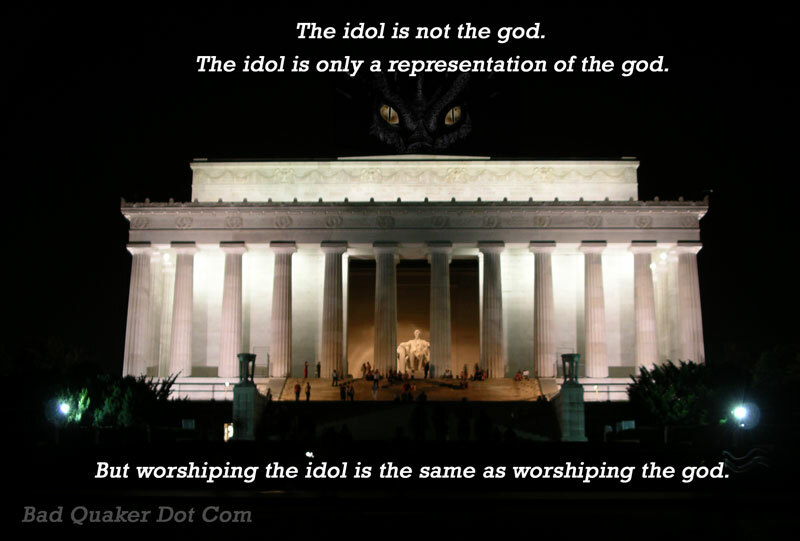 No matter the evidence presented, the individual cult members are rarely able to see through the fog of their faith and realize the level of fraud that has been put upon the populous. So long as people are fooled by the hope that a government can be limited by an ancient slip of paper, they will not seek a realistic solution to the tyranny that such a government produces. Having committed themselves to this faith, they will cling to the hope that this constitution will solve the very problem it created, that being a federal government. Having then only a slip of paper to restrict it and the unblinking faith of the followers to support it, the government of the United States of America has become the largest single threat to the life and liberty of those living within the confines of America and a grave threat to those living outside of the reach of its prisons, SWAT teams, TSA goons, stop and search cops, Nazi check points, and endless taxation. This Constitution of the United States of America has simply become a device used to control the willing masses who would rather be told how to think, what to consume, what to wear, and how to behave, by their masters than to take the responsibility that comes with liberty and set themselves free of the self-inflicted chains that bind them. This remaining faith in the Constitution of the United States of America allows the federal government to grow stronger, and allows the populous to grow weaker and more dependent. In the end, the federal government will reach a tipping point where those depending on the labor of the productive will overburden the productive and those productive will stand up and put an end to this process. But each day that the federal government grows stronger, the task of stopping it becomes harder and more dangerous. The answer to this problem is the simple rejection of the myth of the Constitution of the United States of America. Reject the Federal Faith and embrace reason and logic. Step toward the light of liberty and reject the darkness of slavery that walks hand in hand with government. Set your mind free and embrace the mission of liberty. This entry was posted in Bad Quaker Theology, Brief Articles and Short Notes, Free Society, History, The Police State and tagged constitution, federalism, federalist, founding fathers. Bookmark the permalink. 4 Responses to What is The Constitution of The United States of America? In the last paragraph the part about rejecting the federal faith and setting your mind free reminded be of the last scene in The Prisoner tv series episode, A Change of Mind. We are in agreement on the devilish cunning of that parchment. Carla Gericke was awarded a substantial monetary sum from her First Amendment violation. Wow, that’s a sad delusional thing to read. I seriously feel sorry for you. I’m not saying that to attack or insult you. I’m saying it because, sadly, it’s true. The Constitution formed the government that created the negative situation that drove people to need a Free State Project. The Constitution authorized or failed to stop the government we have. To then back up and twist the story to say the Constitution “saved” Free Staters is an abuse of logic in the most absurd manner. It indicates a serious level of brainwashing. Jeff, to say the Constitution “saved” someone is the same as saying that a cop saved someone by choosing to stop beating them one strike before killing them. This is the sad justification of a slave who can’t come to grasps with the fact that his master owns him and doesn’t love him. If you would like a list of books, I would be more that happy to post links. But honestly Jeff, you need help. Linking to Mike Church? Really? That is sad. Even the spam filter thought that was a bad idea and almost deleted your post.